Malcolm Appleby was born in Kent in 1946. He studied at the Beckenham School of Art as well as the Ravensbourne School of Art. Along with the Central School of Arts and Crafts Sir John Cass School of Art. Then the Royal College of Art. He decided to become a designer when he was a teenager, taking up an interest in gun engraving, before being mock-apprenticed by John Wilkes. His career began in 1968 when he began to learn various new silver engraving and gold fusing techniques. He is now the most notable gun engraver in the UK, with his iconic Raven Gun being located in the Royal Armouries. The Gun was to be auctioned off at Gleneagles and was expected to fetch between £40,000 to £60,000. Unfortunately they did not reach the price and were not sold. 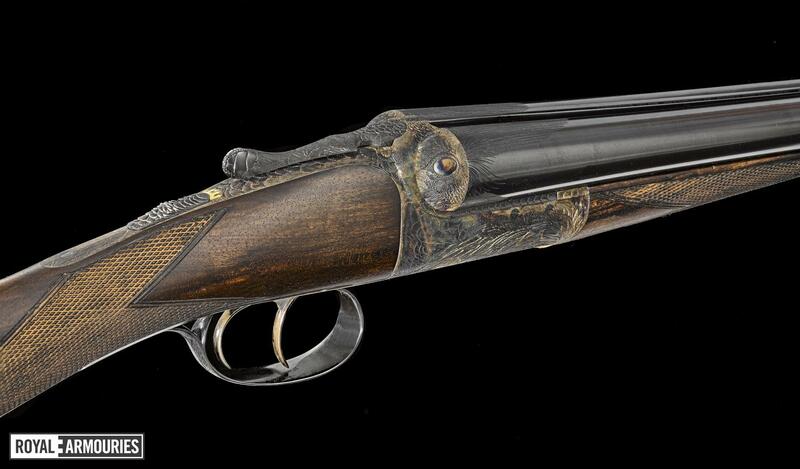 Mr Gardiner sold a so-called Crocodile gun engraved by Mr Appleby for £48,000 at auction in Gleneagles in 2009. The guns he has engraved are prized possessions and mainly kept in private collections. Appleby has also been the Chairman of the Crathes, Drumoak and Durris Community Council. Then the British Art Postage Stamp Society, as well as being its Chairman. He is also a Liveryman of Goldsmith’s, and his commissioners have included the London Assay Office and the Royal Armouries. More notable the Silver Trust who commissioned him to make a cruet set for 10 Downing Street. Other commissions have included the King George VI and Queen Elizabeth Diamond Stakes Trophy for De Beers. The next accolade a cup and cover for the Royal Museum of Scotland. He was also commissioned to the make the New Scottish Parliament’s silver centrepiece. Appleby has worked and lived in Scotland for the majority of his career. Malcolm Appleby takes inspiration from various sources. He has cited everything from personal experience through to mythology. Also the natural world is also central to his work. After learning his gun engraving skills at school, he has used the associated techniques to produce jewellery and various other metal forms. Alongside engraving, techniques such as hammering and texturing are also used abundantly in his work. Appleby uses gold, silver, platinum, steel, iron and gem stones in his work and continues to pass on his skills to others to this day. In 2014 Malcolm Appleby recited his MBE for services for his engraving skills. One to never go with the masses and never afraid to tread new paths. He was that determined to do his own designs that he bought his own shotgun to engrave. Once it was completed he quickly sold it abroad but the UK makers were still not interested. So he bought another shotgun and did it again. The rest is history and he has created over 60 shotgun masterpieces. From time to time we are lucky enough at Edinburgh Silver to get some of the incredible pieces either engraved or made by Malcolm. So please take a look at our latest collection of Appleby Items. Below is a list of Appleby items that we did have in stock. They do not stay in stock so be quick and grab a piece of future history.